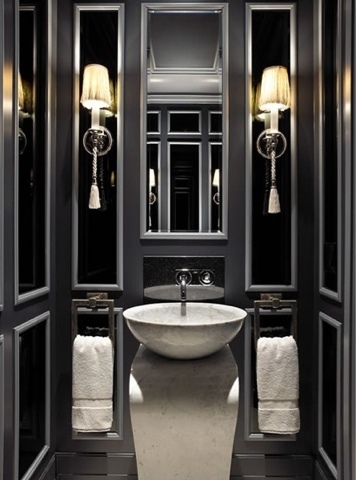 i logged onto pinterest and saw this, powder room. WOW. talk about BIG impact in a small space.